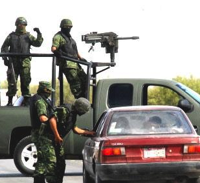 Mexico's Drug Cartels: Musical Chairs or Atomization? Mexico is not known for its start-up ventures, whether in legitimate business or in organized crime. What Telmex and Televisa are to the world of legal commerce -- unrepentant monopolists or oligopolists, ruthlessly opposed to new players in their respective industries -- the Sinaloa cartel and the Zetas are to the nation's underworld.